If you’re looking for an original less famous temple to visit in Bangkok, you might be up to check the Wat Samphran. This is an odd and huge temple in Nakhon Pathom about 50km from Bangkok center. This one is completely different, and could let you imagine something closer to a theme park than a buddhist temple. 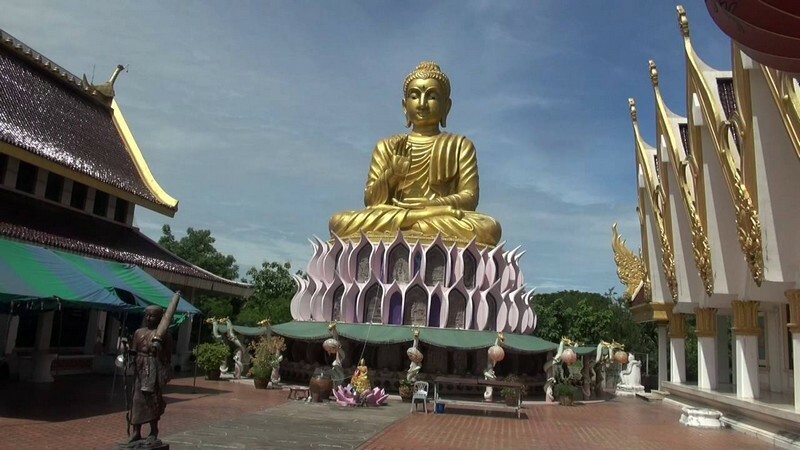 Wat Samphran (also know as the Rose Buddha Prayer) is pretty unbelievable as it lays far away from the city and is rarely mentioned in the famous guide books. 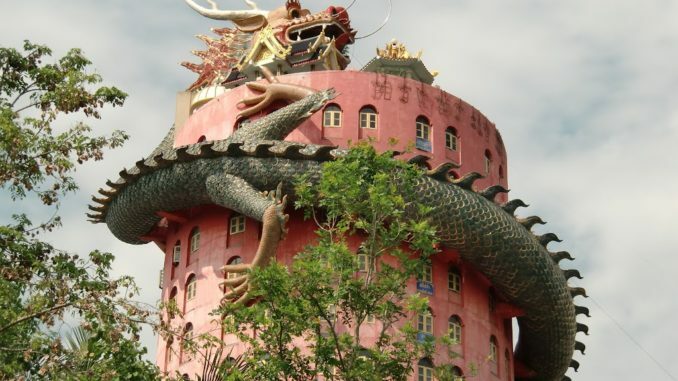 The big dragon crawling around the pink temple is unique and spectacular. The 17 story temple is full of statues and buddhist artefacts. You can also see a giant bronze buddha. It’s usually very quiet, much much different than the famous Wat Phra Kaew or Wat Arun. There’s no easy way to get there. If you want to save a little bit and avoid Bangkok traffic, you can take the BTS up to Bang Wa. From there, you take a taxi or Uber and you can go directly. Mention that you’re going to “Wat Samphran” in “Nakhon Pathom”. You will have about an hour of transportation to get there and it will cost you around 500thb to go and come back. What is the best burger in Bangkok ?